…but hops over stories it doesn’t like. Compelling evidence has emerged that Radio Australia – the overseas service of Australia’s public broadcaster, the ABC – has suppressed public comments in which the country’s alternative foreign minister outlined a radical change of Australian policy towards Fiji. Grubsheet can reveal that when Julie Bishop, the Deputy Leader of the Opposition and Shadow Minister for Foreign Affairs and Trade, made a speech on Monday evening in Brisbane which was supportive of Fiji and signaled a change in Australian policy, it was recorded by the ABC’s Pacific Correspondent Sean Dorney and sent to Radio Australia. But the recording, indeed the entire account of what Julia Bishop said, never made it to air, either on Radio Australia News or the broadcaster’s influential public affairs program, Pacific Beat. Dorney says that he filed a piece for Australia Network, the ABC’s external television arm, which was broadcast. Yet there was nothing on the external radio service at all, in spite of the fact that it casts itself as one of the most respected and trusted sources of information in the Asia Pacific. Here was the first significant change in official Australian attitudes towards Fiji in the six and a half years since Voreqe Bainimarama’s takeover. In her Brisbane speech, Julia Bishop was extraordinarily warm towards Fiji (see previous posting). She said that if the Coalition won the election, it would fully re-engage with Fiji, including re-establishing full diplomatic ties, and would “take guidance” from Fiji about how Australia could best assist the Bainimarama Government introduce the first genuine democracy in the country’s history next year. By conventional news standards the world over, it signaled a dramatic change in Australian official attitude and deserved to receive the widest coverage. But Radio Australia chose to ignore it. Instead, it ran two items highly critical of the Fijian Government, both by the same reporter, Bruce Hill. As is clear from the emails published below, Bruce Hill was fully aware of the Shadow Foreign Minister’s speech and presumably the import of what she had said. What the regional viewing audience and the Australian taxpayer is now entitled to know is by whose authority Hill, and the rest of the Radio Australia editorial team, chose to overlook a major shift in Australian attitude that, in Julie Bishop’s own words, will result in a radical change in public policy after the election. The incident raises grave questions about the editorial independence of Radio Australia. It is especially egregious in that it involves the overt censorship of an important speech by the senior opposition politician who may well determine Australia’s foreign policy after the election due in the coming weeks. Grubsheet has long alleged a campaign of wilful and sustained bias against Fiji by Radio Australia, which also broadcasts on the FM band in Fiji courtesy of the Fijian Government. Indeed we have lodged complaints, in a personal capacity, about that bias through the ABC’s formal complaints procedure and been rebuffed. Yet previous instances pale into insignificance beside evidence that Radio Australia is willing to subvert the political process in Australia and deny a voice to the alternative government. It has deprived the prospective Foreign Minister of the opportunity – on the public airwaves – to enunciate what could well be an imminent and crucially important change of policy in relation to one of Australia’s most intractable foreign affairs challenges. It is more than a grave editorial lapse. It is also contrary to law. On the available evidence, it’s a case of the publicly funded broadcaster taking a partisan position in a manner that contravenes every aspect of the ABC’s Charter. This legally requires it – under an act of Parliament – to report without fear or favour in the interests of every Australian. Yet not for the first time, as we’ll see, the evidence is that Radio Australia is a puppet of its political paymasters. And it cannot be long before the full force of the Opposition ( and perhaps the next government), the rest of the Australian Parliament, the country’s media regulators and the ABC itself come crashing down on those who indulged in such a blatant attempt to manipulate the news agenda and deprive the Asia Pacific audience of information that it deserves and needs to know. Before Grubsheet lays out the evidence, we need to make a declaration of personal and professional interest. Grubsheet (Graham Davis) is a Fijian citizen, as well as being Australian, and was born in Fiji. We have long supported the Bainimarama Government, convinced that its multiracial agenda, anti-corruption drive and service delivery for ordinary people is infinitely preferable to the racist, self-interested and corrupt administration that it removed. Having long advocated that Australia engage with Fiji rather than punish it for Bainimarama’s takeover, we were approached in September 2012 by the Washington-based American company, Qorvis Communications, to advise it on its Fiji account – one of a number of sovereign clients it represents around the world. We unashamedly accepted the offer, keen to assist Fiji and convinced that the country is on course for a genuine democracy next year that will finally take it forward after a quarter of a century of false promise. So, yes, we are on the Qorvis payroll and, yes, our work for Qorvis involves promoting the Bainimarama Government. Yet it is neither here nor there when it comes to our underlying complaint about Radio Australia manipulating the news. This is a case of basic journalistic integrity and practice. And from where we sit – a journalist of 40 years standing – this has been grievously compromised. Indeed, we are as much aghast about the negative impact on the regional audience’s right to know as we are about the silencing of Julie Bishop and the negative impact on Fiji of Radio Australia’s extraordinary behaviour. Yet our own experience tells us that Australia’s international broadcaster has form when it comes to manipulating the news agenda in favour of its paymasters in Canberra. Grubsheet spent almost three years on the Radio Australia news desk from 1975 to 1978. The first few months of this period was during the Indonesian invasion of East Timor, which we now know was sanctioned by the Australian Government in a most unconscionable manner. This included turning a blind eye to the murder of five Australian journalists by the invading forces. Grubsheet was present on at least one occasion on the Radio Australia news desk in Melbourne when Australia’s then ambassador to Indonesia, Richard Woolcott, rang to request that a particular story on the progress of the invasion be doctored. That request or demand, depending on your point of view, was adhered to. To Grubsheet’s youthful eyes (we were 22 when the invasion took place), it was a lifelong lesson about the extent to which the Australian establishment is occasionally prepared to interfere with a broadcaster that it finances yet pretends is independent. As the old saying goes, he who pays the piper calls the tune. Which is why – for appearances sake, at least – the domestic ABC in Australia and Radio Australia is funded by a direct allocation from the Australian Parliament, whereas Australia Network – the external TV arm – is financed directly by the Department of Foreign Affairs and Trade. In this case, the DFAT funded arm did its job. The rest of the ABC, including Radio Australia, did not. Julie Bishop gave her speech to a roomful of people at the Australia Fiji Business Forum on Monday night. But, incredibly, news of its content didn’t reach Suva until Wednesday afternoon, via Fiji’s Ministry for Foreign Affairs. Why? Because it simply didn’t appear on any of the news alerts which are routinely monitored on an hourly basis. Grubsheet then had the following email exchange with Sean Dorney, the aforementioned ABC Pacific Correspondent, who’d sent us an email on Monday describing as “a ripper”, a hard-hitting speech to the Business Forum that morning by Fiji’s Foreign Minister, Ratu Inoke Kubuabola, complaining about Australia’s continuing hard line. Sorry for the delay is responding. Thanks for your coverage of Ratu Inoke’s speech. Did you see the speech by Julie Bishop to the same gathering on Monday night? Haven’t seen any coverage of this but it’s obviously hugely newsworthy from Fiji’s viewpoint. Hope all is well. We ran Julie Bishop on Australia Network News last night saying she would make it a priority to normalise relations with Fiji if the Coalitions wins. I sent the audio to Radio Australia on Monday night. But if the ABC’s Pacific Correspondent sent the audio to Radio Australia on Monday night, what happened to it? This is the investigation that is now required into why the public broadcaster is still to report the biggest change in Australian official attitude towards Fiji in the nearly seven years since Voreqe Bainimarama’s takeover. Because there is now evidence that the Bishop audio didn’t simply fall between the cracks. Radio Australia knew about the speech all along but didn’t report it. That evidence is contained in the following email exchange between Fiji’s Permanent Secretary for Information, Sharon Smith Johns, and senior Radio Australia reporter Bruce Hill. I’m looking for your coverage on the speech Julie Bishop gave at the Fiji/Aust business council dinner. I can’t find the link, would you be kind enough to send it to me pls. I believe Australia Network used it, try their web page. 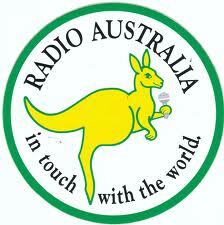 So Australia Network – the ABC’s external television arm – used it but not Radio Australia. Why? It’s clear from this exchange that Bruce Hill knows about the story – that Julie Bishop announced a far reaching reform of Australia’s policy towards Fiji in the event of a Coalition win. Yet neither he nor any other Radio Australia reporter or subeditor considered it worthy enough to broadcast. What’s more remarkable is that in the two days following Julie Bishop’s speech, Bruce Hill chose to run two stories on the Pacific Beat current affairs program highly critical of Fiji. One was an interview with the Australian trade union leader, Sharan Burrow, calling for a tougher international response against the Bainimarama Government over its refusal to grant sugar workers in Fiji a pay rise beyond that already offered by the Fiji Sugar Corporation. The other was an interview with the former Fijian Opposition leader, Mick Beddoes, lashing Ratu Inoke Kubuabola for his Brisbane speech. So on the evidence, Bruce Hill and his masters at Radio Australia will give ample airtime to a former Fijian Opposition leader but none to the current Australian deputy Opposition leader and the person who will govern Australian policy if the Coalition wins the election. By any standard, it is an extraordinary lapse which demands an inquiry and an explanation. Because on the evidence, the public broadcaster has gagged the Australian opposition. Was it on behalf of – or at the behest of – the Labor Goverment? Or have Radio Australia’s journalists become so biased against the Coalition and/or Fiji that they allowed their prejudice to get in the way of their duty to the ABC’s Charter and its strict editorial guidelines? Radio Australia’s regional audience, not to mention Julie Bishop and the Australian and Fijian peoples, clearly have a right to know. Bula Noda. I had to smile after reading your post. Here in NZ media are jumping up and down because of the GCSB Bill that the current govt (mooted by John Key) is hell-bent on passing which would allow GCSB to spy on Kiwi citizens under the guise of national security. As part of an enquiry which is indirectly related to the bill, one of the journalists (from Fairfax) had her email traffic with Dunne (former minister) provided to the inquiry without their approval. People are disgusted with such actions and what makes me laugh is the “cheek” of these people-both government and NZ media. I have been keeping an eye out for Michael Field to criticise such actions but I don’t think “I’m going to hold my breath”. But if the Police in Fiji took a reporter in Fiji for a half an hour questioning at the Police station, I bet my bottom dollar that it will make the news here in NZ the very next day. I listen to Radio Australia every morning and am sometimes amazed/appalled at what they come up with when questioning people re Fiji. The current raft of Trade Union Leaders in Oz that are showing solidarity and support for our comrades beggars belief……one had the audacity to say that they were supporting Fiji Trade Unions because of there concern for human rights violations………how many First People died in custody last year and what did they say then……..and why did no-one interveiw the victims of the armed robberies done by the 5 that escaped prison and were given a good tickle up? To understand the problem with the ABC it is worth reading a recent book “The Lucky Culture” by Nick Cater. It has a whole chapter devoted to the monster of the ABC. Hopefully a new Abbott government might devote some attention to cleaning out the ABC and with it too some of the bewildered professors like Brij Lal that infest Australian universities. The commercial broadcaster works on a commercial basis. Their reporters are smart/investigative/unscripted and have to be up to the job to keep up the ratings to bring in more money….. If they fail and are not impressive, they will be “boned”. The lowest of the low is still one up from the ABC reporters. Now watch and listen to the ABC reporters. Has anyone dealt with an Australian Gov’t department??? The customs/federal Police/fair trading or the TAX offices to name a few…. ABC is no different. These guys have a scripted life, in and out of job. It is life like a trained dog that only serves its masters and bark on its behalf..and of course the occasional sniff and the lick to keep the job….and where else would they go…. And why would ABC interview someone from Sydney University or persons from other dignified institutions to show their own inadequacy? ?….they have Brij and they have ACTU. And you might think that when these people gather in groups in a pub somewhere in a dark corner, they would be whispering/ sharing secrets for their next assignment……..in fact they would be licking wax off each other’s ears. Hope you are well. Am here in Nadi on a break and enjoying my ‘suruwa’ at Tapas. God bless bro. Bula and God bless bro…I hope that one day I will let you taste the jungalee murga surwa that I make …no kidding bro and GOD willing it will be sooner. Keep up the positive writings and do whatever one can to support the good work of the current government….it works and you will be surprised how many people read this…. Just last week here in Sydney, I had to direct an esteemed lawyer ( he claims to have been practising for over 20 years…I have his card to verify) to this site….All he was harping about c4.5. but I could understand his gripe….well any lawyers gripe against the current government for their “sharking” ways have somewhat been curbed. After visiting the Grubsheet site, his views have somewhat mellowed and “more understanding”…or as I might say he was brought down to walk amongst real people. This is not to say that the current government has no flaws…they do. You will have to visit the ministry of justice….I think it is the titles unit and you will see what I mean. That place is chaotic/without any orderly process in achieving results at the counter level…..a very busy office with shortage and overworked staff……these are micro level issues that I believe will be solved and I hope Managers are doing a good job in ensuring things move because the last thing I need is to be pissed off by incompetent people. What I am saying bro Komai is that the government has its hands full in dealing with bigger issues…and it is doing a great job. Departmental level, there has been a lot of improvement but a lot more can be done. Folks I apologise that this does not fit into the topic but is meant as a smalltok with Komai. How the fukarr peoples gonna do the business like this uuh?? Next time the somebodys gonna get the very hurts like this. I always tells them don’t the piss Chand off too many times. Thanks Graham for pointing out the incredible bias and malevolence of Australian media. In a way I feel sorry for the Australian citizens. The majority seem to believe that they live in a democratic system where an independent press scrutinises their government and reports in a fair and unbiased way. They are clearly bamboozled. While we in Fiji have in the meantime a modern legislation that guides our media on how to report in a balanced way, the media in Australia are a law onto themselves. They use sinister communications companies and propaganda techniques to fool the electorate and it would not surprise me if the labour regime rigged the upcoming elections. Terry Tavita’s leader Tuilaepa Malielegaoi is very busy attacking the Samoan media for “irresponsible” reporting. He is planning to force a government set up Media Council on them. It looks like anyone in the Samoan media who does not toe Malielegaoi’s line is a target. My Samoan friends tell me Samoa is very much a one party state and Malielegaoi rules like he is a dictator. Where is Tavita now? The Australian ABC is now in the business of committing treason against their own government and its people. I therefore suggest, since the ABC uses every opportunity to denigrate the Fiji Government and would also betray them, if they find an opportunity, to cut all ties with this organisation and shut down their Fiji operations. Sean Dorney got into a row with Ashwin, Makareta and Matai at PINA . If you are a journalist covering PINA, stick to that role. Do not get into arguments with PINA delegates. It shows Dorney’s lack of professionalism. Or maybe he thinks he is a big shot from ABC and can get away with it. Especially when it comes to smaller pacific countries. Clearly, Dorney is too emotionally involved with events in Fiji and in PINA. This is common knowledge. So why did ABC send him in the first place? No wonder the Abbot government is calling for a big shake-up at ABC. People like Dorney who have been there for too long are getting quite arrogant. They think they can dictate to sovereign nations how to run their media. The cheek of it. How would Dorney like it if I as a journalist told him how Australia should run its national media? As if having to put up with arrogant australian prime ministers wasn’t enough, no we have to deal with pompous, self-absorbed journos. If ABC had the common sense to not send a prejudiced and involved journalist such as Dorney to cover PINA and Fiji, the Fiji government would not have had to ban Dorney. ABC really needs to get its act together. Do not send us any more Dorney’s please. We are tired of his theatrics. Dorney’s reports on Fiji/PINA are full of opinion. We want facts, not opinion. Dorney can’t deliver the facts. he is no longer credible to us. Please ABC, pretty please; we do not want to suffer Dorney any more. Islands Business confirms “Threatening Aussie scribe (Sean Dorney) waved his fingers angrily at PINA woman executive (Makareta) in Noumea. The big white veteran journalist threatened to use his influence to stop Australian aid for the struggling Pacific media body. It was not clear whether the so-called big fella scribe was under the influence of his government in Canberra or was it the red substance that comes in a bottle? Whether you support MIDA or not, the typical Australian bully tactics of Sean Dorney is deploring, regardless of his local cheerleaders Samisoni Pareti and Dennis Rounds. He is not fit to be a journalist. MEDIA Industry Development Authority chairman Ashwin Raj says he is not interested in the Australians and their money, and says Australia must rectify its own situation before coming to train journalists in Fiji. He made the comments in response to the Pacific Media Assistance Scheme’s revelation that Fiji would lose out on $A500,000 (about $F1million) worth of projects and assistance following its suspension by MIDA. “Stop going into this business like we are basically dying for their funds. More, to us, it’s a question of dignity, it’s a principled intervention — if Australians cannot rectify their own situation, they shouldn’t be here training us,” he said. “Why do the Australians have double standards? They cannot hold the ABC accountable yet they want to train people here. “And why have they become the praetorian guards of good governance and democracy when in fact they cannot uphold these principles themselves,” he said.